Butterflies and flowers. They make me smile. They make me smile inside and out. They’re such a great combination. I love nature’s creation. The colors and shapes work to bring joy to life. I fellow photo artist and blogger creates art and blogs about how to use art to decorate our living spaces. She shares about how colors affect us. She shares how the right colors and shapes open up small places and give the illusion of size. She shares about how colors and shapes bring life to a dreary gray space. This art piece speaks all those things to me. What does it speak to you? Leave me a comment and let me know. This piece is also for sale in the art store. You have two choices. You can see them in the menus. 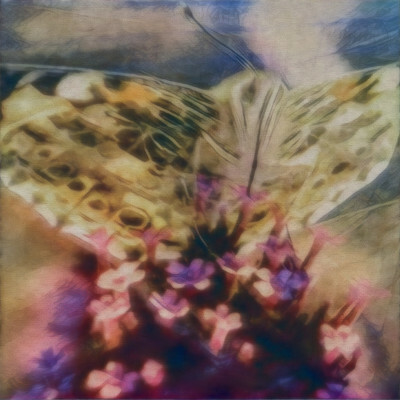 This entry was posted in fine art, Project 52 and tagged 2017 art, butterfly, butterfly garden, fine art, floral, landscape, nature, number 2. Bookmark the permalink.